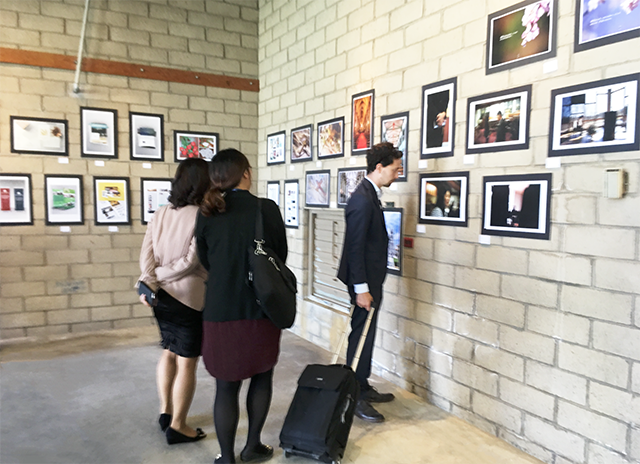 The art exhibition during the General Assembly kicked off successfully. 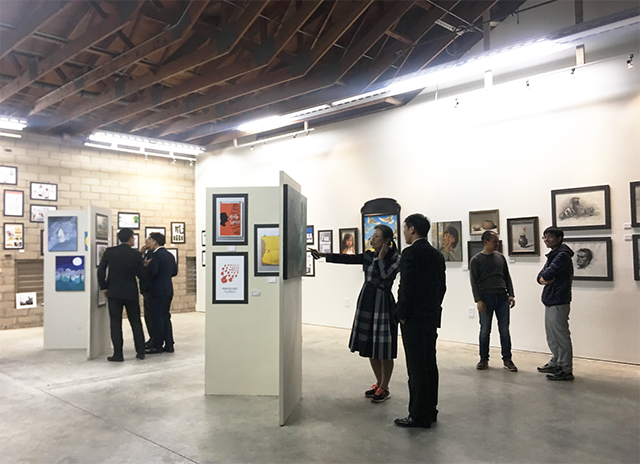 It was a collaborative exhibition with Olivet University’s School of Art & Design (OSAD). The gallery was installed in Olivet University’s David Randolph’s Art Center. Creatio’s collection consisted of prints from categories of works in business, service works for church, service works for fellowships or parachurches, and personal works. There were also a few storybooks on display as well. OSAD’s collection consisted of prints as well as fine arts pieces including paintings and drawings. The art show exuded positive testimonials of God’s grace in people’s lives. One visitor was moved to tears by one of the storybooks, “Lost & Found” based on the parable of the lost sheep in Luke 15. This shows the power of presenting the gospel visually. One picture can touch a soul even beyond words. “God poured down more than enough that we could not include all the submissions in the gallery. I felt Creatio members really have passion to use their talents for God. Creatio hopes to become an even bigger bowl to contain them and help them,” said Creatio International General Secretary. “It is the grace of the Lord to allow all the creative individuals from Creatio and OSAD to join forces for this event, a successful turn out. The Lord will guide us and give us more wisdom to share with the world, to beautify the world with creative arts,” said Creatio North America Representative. Creatio looks forward to holding more exhibitions.